Have been engaged through the charity’s work since 2012. Over 5000 man days of varied and exciting sporting opportunities help to access those ‘harder to reach’ and provide an exceptional vocational assessment and developmental tool. From big industry to small , MM beneficiaries have successfully accessed employment through the charity’s training and placement schemes. Employment - full or part time - is an incredibly important part of a sustainable and constructive future for our veterans and their families. Despite circumstances that would prove a barrier to many, MM veterans continue to demonstrate that they are well suited to the automotive industry, and that their skills are both recognised and rewarded. MM alumni are happily filling important roles in Formula 1, Formula E, World Rally Championship teams as well as with leading automotive manufacturers. A Royal Foundation Endeavour Fund initiative, with the assistance of Help for Heroes, Mission Motorsport is MoD’s competent authority for disabled and adaptive sport. Mission Motorsport’s programs have reached over 1500 veterans and service leavers as part of the MoD’s Defence Recovery Capability. MM’s programs include car control, go-karting, track days, sprints and endurance racing round the clock, as well as 4x4 activities. As part of the MoD's Career Transition Partnership (Assist), the charity helps those leaving the military to find employment in the automotive industry. A City and Guilds and LANTRA training provider, Mission Motorsport's Training Wing delivers short courses through to Level 3 Diploma courses, enabling service leavers to bridge the gap between military service and second careers as civilians, beyond injury. Networking hard, the charity helps those leaving the military to find employment in the automotive industry. 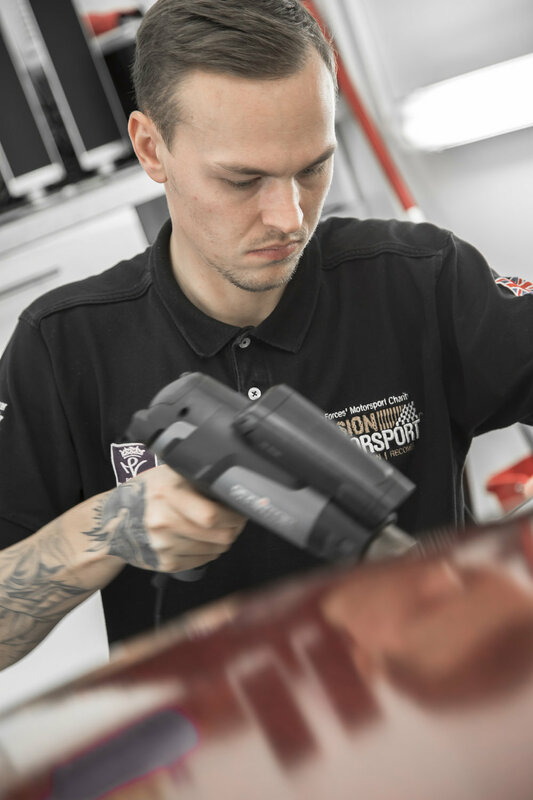 As Relationship Managers to the UK Automotive Industry for MoD's Career Transition Partnership (Assist); Mission Motorsport manages opportunities for the wounded, injured and sick, as well as on behalf of a wider audience of service leavers and veterans. We are proud to partner the Royal Foundation in the delivery of Mission Automotive initiative.